The 59-41 vote was a bipartisan repudiation of Trump's decision to circumvent Congress and take money already designated for other programs and redirect it to pay for his U.S.-Mexico border wall, which he promised to build during his 2016 campaign. "VETO!" he tweeted shortly after the vote. The vote on Thursday marked back-to-back defeats for Trump in the Republican-controlled Senate. On Wednesday, senators approved a resolution seeking to end U.S. support for a Saudi Arabia-led coalition in the war in Yemen, rejecting Trump's policy toward the kingdom. "Today's votes cap a week of something the American people haven't seen enough of in the last two years," Senate Democratic leader Chuck Schumer told reporters. "My hope is that this past week isn't an aberration, but a turning point." A House of Representatives leadership aide said there would likely be a vote to attempt to override Trump's promised veto on March 26 after lawmakers return from a one-week recess. His drive for billions of dollars to build a U.S.-Mexico border wall - one that he initially promised Mexico would pay for - has placed a wedge between him and Congress, including many Republicans who are uncomfortable even talking about a "wall." Many in Congress say effective border security requires a range of law enforcement tools. McConnell said Trump was "operating within existing law" and that if senators did not like the powers provided to the president under the National Emergencies Act, "then they should amend it." Even with a veto threat looming, senators and legal experts said Congress was sending a message that could be cited by judges in several lawsuits challenging Trump's emergency declaration. "It's an important legal statement," said Senator Angus King, one of two Senate independents. "It tells the court this is explicitly not approved by Congress. By voting this resolution, Congress is reiterating we don't approve of this expenditure." "Congress's vote, even if vetoed, would solidify any court's understanding that the so-called emergency is really part of an end-run around a legislative branch that is unconvinced an emergency exists, that refused to fund the wall, and that is constitutionally in charge of federal spending," he said. "Democrats and Republicans both know the sad truth: The president did not declare an emergency because there is one," Schumer said on the Senate floor. "He declared an emergency because he lost in Congress and wants to get around it." 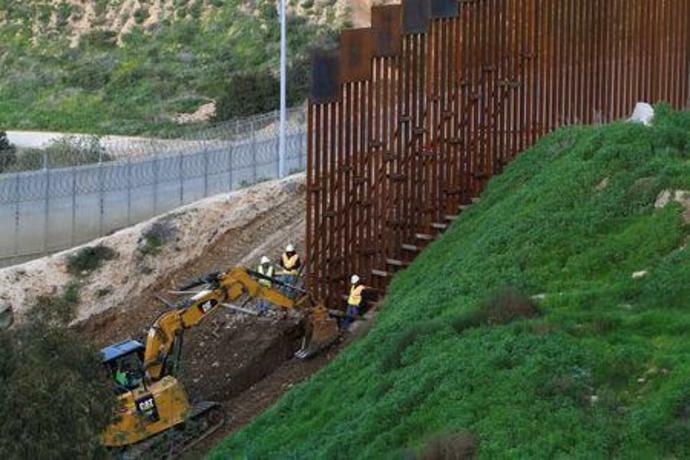 King expressed frustration the Department of Defense had so far refused to provide Congress with the projects it would have to suspend under Trump's emergency declaration in order to fund the wall. "We have a reasonable expectation of knowing what the universe of potential projects cuts are before we take this vote," King said in a telephone interview with Reuters shortly before the vote, adding Trump was attempting to "undo" $3.6 billion worth of defense projects already approved by Congress.